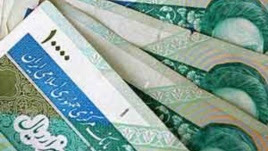 The Iranian currency, rial, strengthened on the open market today, trading at 33,400 rials a dollar. The new rate represents an 8.5% appreciation in relation to dollar since Rouhani’s victory in 14 June presidential election. On Saturday, the Central Bank of Iran (CBI) devaluated the official rial rate by more than half, from 12,260 to 24,777 rials a dollar. The official rate is now closer to open market rate. The official rate is in fact a subsidized rate available only to selected importers of basic commodities and medicine. The great majority of importers and ordinary citizens are not eligible for the subsidized rate and need to purchase their dollars in open market. Actually Nader this updated official rate is now being offered to most importers (not just basic commodities and medicine) in a bid to improve commerce, and represents something of a merger with the Ex. Center rate. With the improvement of the parallel market rate, the rates have drawn even closer which can only be considered a target for the new measure. And, if I may add, getting rid of the lower price was in part done in order to stop fraud. Out of 9000 merchants who had been using the lowest rate dollar for import, about 6000 were found involved in suspicious activities and fraud. With the low cooperation the government was facing from the corrupt judiciary system, they had to find their own way of controlling fraudulent activities. Agreed. I have always argued for a single exchange rate to stop massive frauds by big importers. Ahmadinejad had another motivation, however, for devaluating the official rial. He had borrowed billions of petrodollars from the CBI, had sold them at open markets at rates of up to 38,000 rials, now two weeks prior to his departure, the official rate of rial is devaluated by more than half. He now can pay back the loans to CBI at half the price he borrowed! This is an example of official fraud. It is so important for President-elect Rouhani to reinstitute the rate currency regime. Probably a single “managed open market” rate, where the CBI would set the low and high limits of rial against the dollar, but let the actual rate floats within that range in open market. It will stop the frauds. People (or the government) enter currency trade market only when and if they need it, not to manipulate and enrich themselves though buying with low “official” rate and sell it at higher open market rate, without contributing anything to the country's economy. Ahmadinejad's action was of course on behalf of the government to finance the billions he needed for monthly cash payouts under his subsidy reform program.